Do you want great traffic and massive profit for your e-Commerce website? E-commerce Website, the money making website. Do you need to know exactly the secret behind successful e-commerce Websites? As per a recent survey, if you make customers unhappy, they won’t tell 5 friends – they would tell 500 well-wishers. However, for the purpose of decoding and demystifying the above-mentioned secret, you have landed on the right page. There are certain must-have E-Commerce Best Practices for your business to generate revenue and become successful. Designing and optimizing e-commerce Website is not a Rocket Science – You have to edit word ‘well’ and perform extremely well for great traffic and massive profit. In the era of Globalization, Liberalization, and Privatization, brands are relying less and less on the local market and perfecting their e-commerce front. Consequently, e-commerce has massively matured. 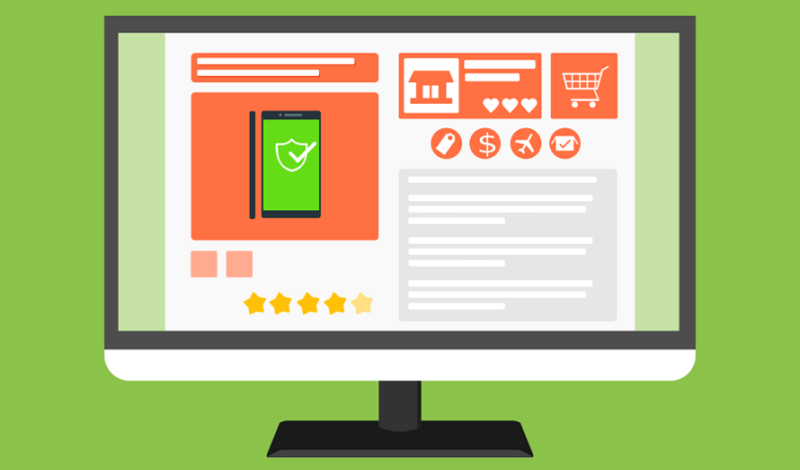 One of the secrets of a successful e-commerce website is to deliver the best value by delivering the best user experience on your e-commerce website. Every visitor wants USP to flood in your business website. A Lost visitor would result in lost sales. So, clear navigation is prime requisite to boost sales. Imagine you are using Global Positioning System for searching a house of your well-wisher in a particular locality. In the absence of GPS, if somebody tells the address by left and right instructions it would be quite difficult for you to find your near and dear ones and you might return to your home without meeting them. Similarly, once a potential customer visits your website, he should be able to easily access various pages and sections of the website. Moreover, there should be a swift link back to the shopping cart. It is most crucial for Departmental stores having hundreds of products. These features will provide a sense of security to potential customer and thus encourage him to shop on your website and generate more revenue. On the contrary, if payment system is unsecured, a potential customer will never turn back irrespective of the fact that the website is highly interactive. Moreover, prefer to use merchant account that your potential customer is comfortable with. Social media indirectly boosts the branding and revenue generation of a company. In the present era, Customer may or may not visit the website but they always access Social Media. Consequently, Social Media is one of the most effective ways of marketing as it facilitates infotainment. The customer is entertained along with accessing more information. Further, it also works as a Customer Support System for handling their queries. As per the recent survey, 25 per cent of online purchases mints money because of effective presence of online stores on Social Media Sites. Imagine both the extreme situations: You have the high quality product but the website is poorly designed and on the other extreme you have spent hundreds of pounds on website designing but you have poor quality or substandard products. Both these conditions are unhealthy for business to grow. To conclude, both reasonable design of the website and a reasonable quality of goods are necessary. Trustmarks are the small logos in the form of images that assures secured guarantee by an external party. GEOTRUST, McAFEE, TRUSTe ETC. are such trust marks. “If you want to propose an unknown girl seen the first time, the most crucial step is to know her address, otherwise she will disappear.” Similarly to attract, retain and turn a visitor into a customer, build an e-mail network. Build a mechanism that requires every visitor to enter his e-mail address when he visits your website. In the near future, it would help in branding and promotion your product via this e-mail. The customer always wants to feel and touch the product. To some extent, this is possible by adding Zoom feature on the e-commerce website. It provides a feel of a product. For instance, If you want to purchase a mobile on Physical stores, you would like to see all its functionalities and look it from different angles. Zooming feature facilitates a unique and virtually real experience to a potential customer. After landing on E-Commerce Website and looking for online products, customers search for more information by online chats and searching phone numbers. Otherwise, it may result in the trust deficit.